Why is it important to donate blood at Lady of the Sea? The main benefit is that YOUR blood supports YOUR local community. The blood supply must be replenished to meet the needs of the patients at Lady of the Sea General Hospital. Donating here will ensure a safe and adequate blood supply to help save the lives of your family, friends, and neighbors in the South Lafourche area. Beginning May 17, hours are 8 AM to 8 PM on Thursdays. Summertime hours beginning in June are Tuesdays and Thursdays from 8 AM to 8 PM. Blood only lasts for about one month and must continually be replaced to be available when needed for patient treatments, surgeries, and emergency trauma care. 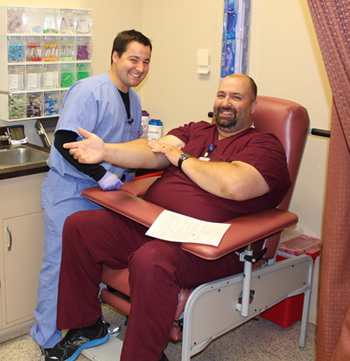 Ochsner Blood Bank began its partnership with Lady of the Sea Blood Center in February of 2000. 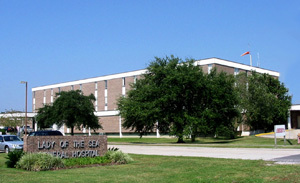 To prove how important the Blood Center is, Lady of the Sea General Hospital transfused 400 units of blood during 2006. The Donor Center had 159 blood donations, so it required the purchase of 231 units of blood from outside the area to make up the difference.